As you know, the gaming industry engages users with rewards, leaderboards, progress indicators and rich graphics. Now you can apply similar techniques to learner engagement and hold learners attention from the moment they log into your LMS. The motivation built at the start presses your learners to proceed further and learners feel like coming back for more. Welcoming graphic- A welcoming graphic creates a sense of belonging that inspires learners to proceed further. Progress Indicators- Alert the learners about where they stand with progress indicators for each of their current learning activity. Calendar schedule- When you put the training schedule visible to your learners, they plan ahead for future learning and never miss attending the sessions. Graphical display of courses- You can have a visual display of courses to help your learners resume training from where they left with just a single click. To do list- Learners attend and accomplish tasks in time when you list them with due dates and status of each task. You can also have news and announcements, videos to give your learners a complete experience. 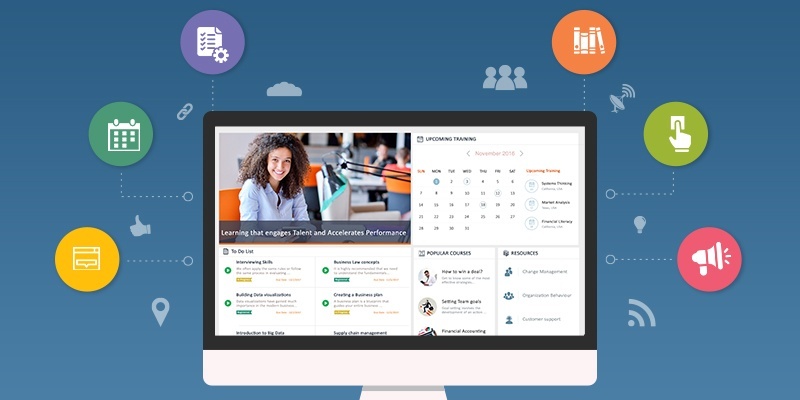 If you need help to make your LMS training dashboard into a center of interactivity, get connected with Chasma Editor - a platform that enables you to build engaging training dashboards in an instance and offer your learners, a learner-centered experience. Enhance your LMS user experience. Build engaging user portals and landing pages with no programming skills and drive better training outcomes. 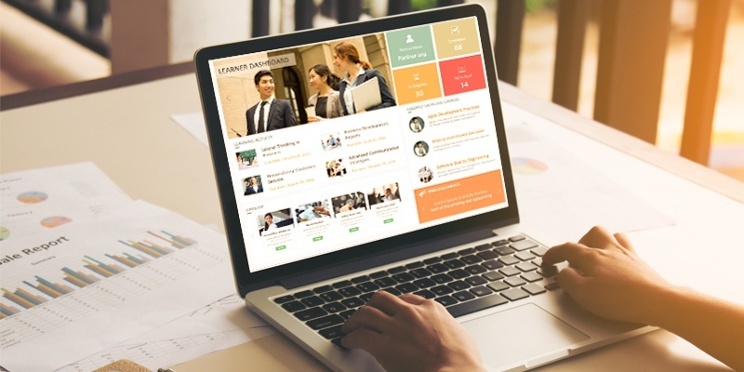 In today’s workplace where career development is a top priority, your learners need a learning experience with an easy-to-use interface—one that provides instant access to information and hassle-free navigation. More than 50% of L&D professionals cite poor UX among the biggest barriers to learning technology satisfaction. Your learners will not be motivated to log in to your LMS if you cannot give them an intuitive user experience and quick access to the resources they need. When your learners lose interest, their failure to fully participate reduces your training efficiency. IBM found that 84% of employees at the best performing organizations are receiving the training they need compared to only 16% at the worst performing ones. Learner-centric dashboards are an engaging way to provide relevant information to your users. Show them where their learning plans will take them, their progress so far, and where to focus their efforts. They get the information in an engaging, compact format so they don’t need to decipher it to know where they stand. User friendly Design to sustain learners' interest. Your learners may get distracted if your LMS lacks visual appeal. Creating an appealing user interface attracts your users and brings them back for more. User focused content for a personalized learning experience. Learners are best inspired when the experience is relevant and personal. Dashboards enable you to visualise user information like course offerings, training status and other relevant details specific to their personal interest. Simple navigation to accelerate learning. Try to remove every barrier to navigation. One-click access is best, but certainly no more than three. Think also about where you place links and icons. Put them where your people expect to see them. Accurate data and resources to meet learning goals. While too much information creates unnecessary clutter, insufficient information does not meet the learners needs. Choosing relevant information that aligns to the learning objectives is critical. Graphical view of information to enhance interactivity. You can also improve engagement by visualizing learner information. You can have the information laid out in the form of arrays, carousels, bar graphs, line graphs or and any other form that your learners like most. Involve learners in the design so you know what they want. Real-time updates to keep your learners informed. Your dashboard can also provide company news, announcements, and industry trends. Keep your news feeds fresh to maintain interest. Learner-centric dashboards can be a quick way to improve your learner engagement. They not only put information at your learners’ fingertips but make the overall learning experience efficient and meaningful. Developing a learning organization of employees who make a commitment to life-long self-development is hard work. 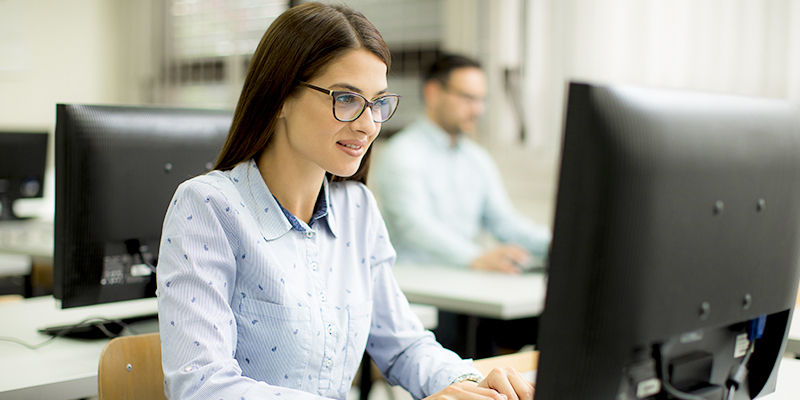 SumTotal Learn makes it easy for you to deliver any type of content to your users, but you need more than a user-friendly gateway to courses and resources. Your users need information on learning that is relevant, timely, and useful, whether they are learners, managers, administrators, or L&D professionals. One of the best ways to give them feedback is with a well-designed dashboard tailored to their needs. Visual display of achievements like progress bars and badges to motivate them to achieve more. Training schedules and calendars so they can plan their activities, with a to-do list that helps them complete assigned learning on time. One-click access to learning resources, no matter where they are, inside or outside your SumTotal LMS. Resources and quick links that put knowledge and job aids at their fingertips, so they can bring learning into the flow of work. News and announcements. To make information timely and relevant, you need it to update frequently so it never appears stale. One way to keep people engaged is to provide blog articles related to their learning or their field of work. You don’t even need to write the content. You can curate it from reliable sources and push out email notifications when you add new articles. Managers need to know the learning status of their teams, their strengths and weaknesses, and where they need to focus their efforts. For required learning, they need to know who might be at risk for a lapse in certification, with the ability to take immediate action right from the display. Managers would much rather view a dashboard then wrestle spreadsheets and tabular reports. Instead of running reports every time they need to see what is happening in your LMS, your administrators can save time and frustration with a graphical view. You could show them recent activity, compliance status, content usage statistics, and user evaluations. SumTotal provides widgets you can use to customize your LMS landing page, and Advanced Reporting gives you a number of data visualizations. However, creating a dashboard is a do-it-yourself project, and if you really want to provide the most relevant information, you will need a more robust tool. If you don’t already have it, SumTotal can make it available for your data and design needs. 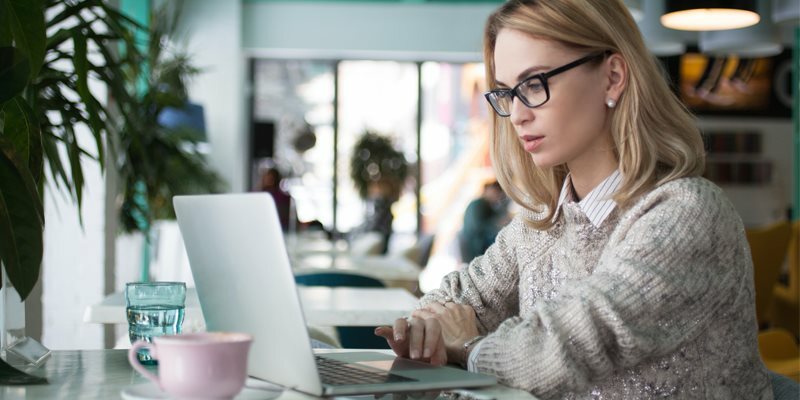 If you want your LMS to become the place to be if you're going to improve yourself, you need more than powerful learning content delivered to your users on demand. You need to make the total experience one your users will appreciate. Well-designed dashboards that provide useful and relevant information can boost engagement in your LMS and help you further your progress on the road to a learning organization.